The Army’s sustainment community is beginning to prepare for the challenges associated with the tactical network of the future. The Army is working to field its first capability set for what it is calling the integrated tactical network (ITN). The service’s new approach heavily relies on rapid and ongoing insertion of commercial off-the-shelf (COTS) systems. The ITN “will look very different than today’s network. In the short term, it will be a blend of legacy and new but that will require a different sustainment strategy,” Maj. Gen. Randy Taylor, commander of the Army’s Communications and Electronics Command, said March 27 at AUSA’s Global Force Symposium in Huntsville. Taylor noted even when there is a small number of COTS in the inventory that’s still tough to manage, so when they make up the major of the ITN vice Army programs of record, that’s a much bigger challenge. 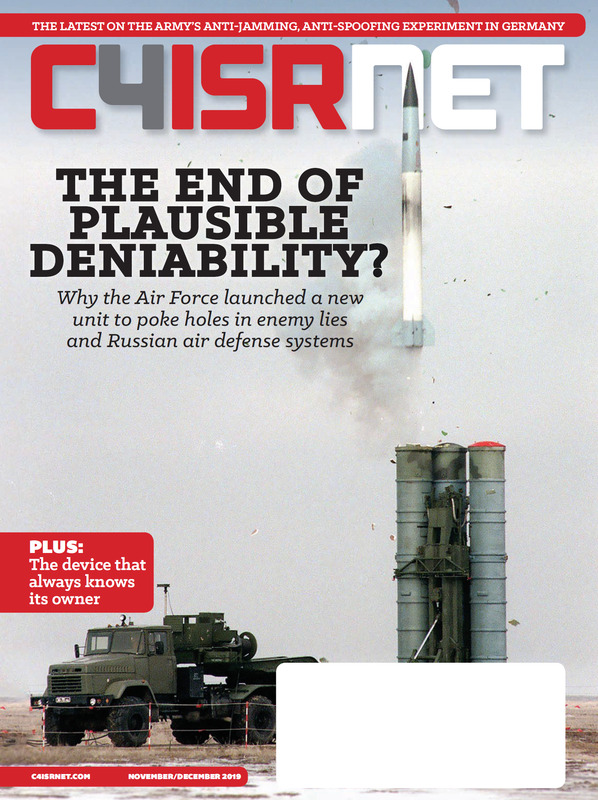 Moreover, the vision for the network of 2028 is that not every unit will receive the same equipment, which also poses unique sustainment challenges. “As you field different solutions to different units, this can quickly get away from you,” Taylor said. The “5” portion gets at the warranty issue. Most of the COTS equipment currently comes with a one-year warranty, Taylor said, though much of that year is taken up with the system sitting on a shelf in a warehouse waiting to be fielded. By increasing to a five-year warranty, that will allow the Army to cover the sustainment of systems bought in the short term while the service “figures out the way ahead,” Taylor said. The “3” is a reference to the Army making a decision in the first three years whether or not to keep or kill the commercial system after the five-year warranty. The decision to kill a system might happen because the equipment is low cost or the tech refresh cycle is so high that there’s no point in sustaining it past the half-decade mark. “But we’ve got to have lead time for that decision after the warranty expires,” Taylor said. The last part of the approach deals with mimicking how the Special Operations community deals with the sustainment of their COTS systems, which they have been able to do because they are a much smaller force than the Army. This deals with working the warranty exchange, which Taylor said is not scalable across the entire Army. The Army, as a result, will centralize the exchange process, similar to the Special Operations Forces Support Activity (SOFSA) in Lexington, Kentucky. COTS systems are given to SOFSA and they manage where the equipment needs to go: to the original manufacturer, a program manager, a depot or a repair facility. The support activity then gets the equipment back to the soldiers in the fight. The way this will look in the Army is centralizing the warranty exchange under Tobyhanna Army Depot, which has over 40 forward points of presence. 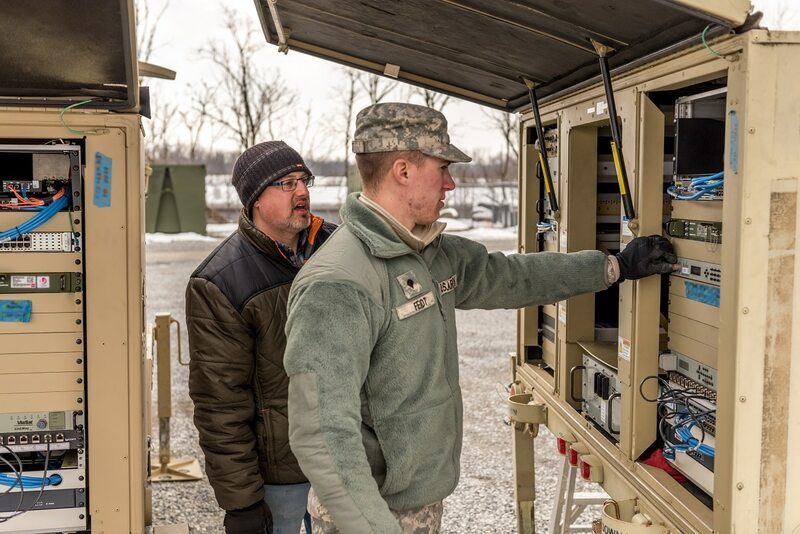 Tobyhanna Army Depot, the Defense Department’s leading provider of C4ISR systems, invited C4ISRNET for a unique opportunity to view the support work it conducts for the joint and coalition force. “Bottom line is, you have something break, get it to your nearest Toby rep just like taking it to an Amazon locker and they’ll get it back into the warranty exchange system,” Taylor said. This is also beneficial because, even if the warranty for the system has expired, odds are Tobyhanna will be doing the repair anyway. Army leaders have outlined a robust plan for introducing capabilities into the network every two years. As such, the Army needs a sustainment plan to keep pace.